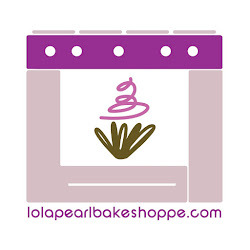 Lola Pearl Bake Shoppe: Apron Giveaway! 1. Share (at least) one of our Cupcake Crown posts on Facebook. 2. Post the link to our cupcake entry, tagging Lola Pearl Bake Shoppe - Custom Cakes and Cupcakes on Facebook. You MUST like LP on Facebook in order to be eligible.